Islam gives importance to every affair of life. Thus, there is not an aspect of your life—O Muslim—except that Islam clarifies and explains it. And this is from its concern for rectifying and unifying the community. And because the rectification of the community follows the rectification of the family, and the unity of the community is a result of the unity of the family, and the happiness of the family is connected to the spouses, Islam gives a great deal of importance to the spouses. 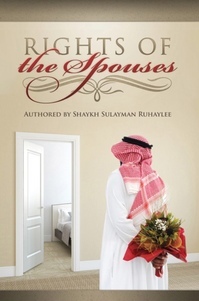 As it relates to the rights of the spouses—O brothers, O beloved—there are rights before the engagement, rights at the time of the engagement, rights at the time of the marriage contract, and rights which remain throughout the affair of marriage.